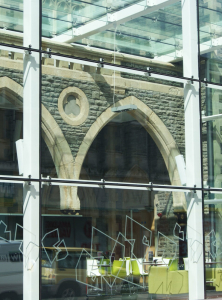 Veon provide a drawing and installation service specific to the Pilkington Planar Structural Glazing System. Having worked with Pilkington on a number of successful Planar projects, we have the experience to take your initial proposals and turn them into detailed general arrangement, construction and manufacturing drawings, managing the design process alongside Pilkington’s in house team. Alongside our drawing services we provide a full Planar installation service, with Steve Ellis leading the installation teams on all Planar projects. Steve has managed a number of Planar installations and provides the knowledge and skill to make your projects a success. If you would like to find out more about how we can help you with your Planar structural glazing project, please Contact Veon.